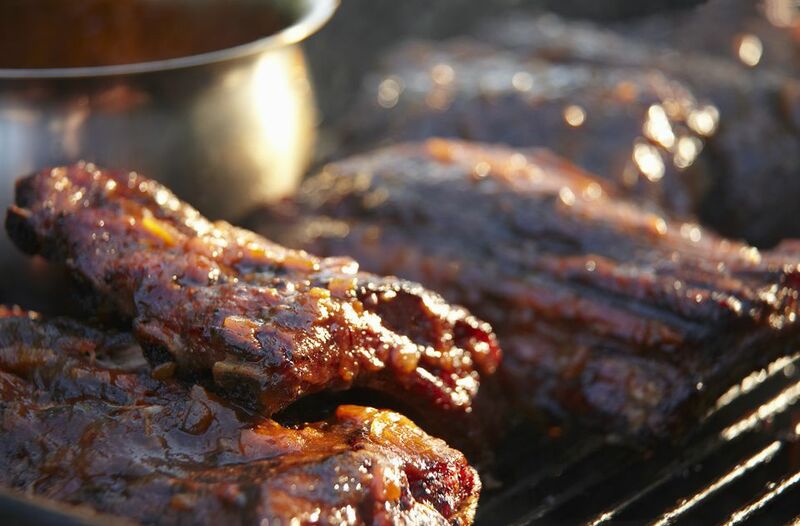 This barbecue sauce has it all from orange juice to mustard. I suggest you make this one in large batches so can you have it on hand. You can omit the liquid smoke if you want to. Perfect on any cut of meat, served in sandwiches or on the side. 1. Heat oil in a medium sized saucepan. Add the onion and cook 5 to 7 minutes over medium heat until golden brown. Stir in the garlic and cook fro 30 seconds. Add all of the remaining ingredients to the pot and combine well. Bring to a high simmer, reduce heat to very low and cook, stirring often for 45 minutes to an hour or until the sauce thickens . Adjust seasonings to taste. If the sauce is too thick, add a small amount of water. 2. Cool to room temperature. Add some of the sauce to a blender and blend until smooth. You will need to do this in at least 2 batches or more. Place processed sauce into an air tight container or jar. Use immediately or If making ahead of time, store in the refrigerator for up to 10 days after preparation. Reheat cold sauce on stove top or microwave for 1 minute before using.